SMSI has assembled a team of diverse, talented, and experienced professionals thereby allowing the firm to respond to a wide range of security needs be it hospital security design, workplace violence prevention, or active shooter mitigation just to name a few. The team includes specialists in healthcare, computer and data security, as well as experts in school and lodging security. The SMSI team includes social psychologists and sociologists in order to address those behaviors that can adversely affect the bottom-line. After all, the goal of any successful crime prevention program is to positively reinforce desired behaviors while discouraging undesired and criminal behavior in the workplace. The Leadership Team of Bill Nesbitt, CPP, Certified CPTED Practitioner and Ron Lander, CPP, strategically partnered with some of the best security expertise in the world, can respond to a wide range of security and loss prevention needs. When a crime occurs, including in the workplace, three conditions must pre-exist in order for that crime to occur. They are motive, means, and opportunity. An effective crime prevention program must address each of these three preconditions in order to deter both crimes against both people and property. SMSI has the expertise to meet each of these three preconditions within a wide range of settings. The goal is to anticipate, deter, and prevent security problems. Bill has been a security professional for more than 30 years. He divides his time between providing security expertise and consulting experience to a wide range of clientele and providing forensic security expertise as an expert witness in security driven litigation. Bill has provided security consulting and training services to a broad array of industries such as healthcare, shopping centers, biotech companies, apartment and condominium complexes (HOA), manufacturing plants, supply chain, food processors, construction sites, educational facilities, and sports and entertainment venues. These services include, but are not limited to, complete security assessments, analysis questionnaires, outsourced management support, project management and security design. As a court certified security expert, Bill has testified in about 600 cases over the past 30+ years, covering 40 States. These cases have largely been premises liability claims, asserting the inadequate provision of security. Although the majority of these cases have been personal injury lawsuits, there have a significant number of property crime cases, such as cargo theft. Another category of litigation has involved the assertion of intentional torts such as use of excessive force, racial and ethnic profiling, false arrest and breach of privacy. Bill is a member of the ASIS International’s Healthcare Security Council and has previously served the Physical Security Council and the Crime and Loss Control Council. He is an often sought after speaker on a wide array of security topics. Drew has been a security professional serving in senior leadership roles for corporations in the healthcare, education, financial services, and entertainment sectors for over twenty years. Managing distributed teams of up to several hundred safety and security professionals and multi-million dollar capital and operating budgets. His experience with the realities of ensuring the safety and security of diverse organizations across multiple geographic locations while operating within the constraints of a limited budget, uniquely prepares him to provide strategic advice to SMSI’s clients that assists them in achieving efficiency and effectiveness in their safety and security programs through appropriate application of public safety staff, security systems, safety and security policies and procedures, and security awareness training. Drew’s experience as a safety and security executive in healthcare organizations has contributed to his expertise in a variety of areas unique to the healthcare environment including drug diversion prevention and investigation, patient on staff violence, Joint Commission compliance, management of behavioral health patients, emergency department security, safety and security of home health professionals, and infant and pediatric security. 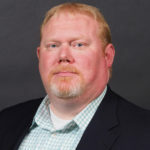 His experience as a safety and security executive in higher education has contributed to his expertise in a variety of areas unique to the higher education environment including Clery Act compliance, Title IX investigation, dormitory safety and security, drug and alcohol prevention, and dating violence. A graduate of Gavin de Becker’s prestigious Advanced Threat Assessment and Management Academy, Drew has had the opportunity to manage hundreds of situations that presented significant potential for violence and to use his expertise in developing and implementing processes to proactively manage and help prevent the threat of workplace violence. As a Crime Prevention Through Environmental Design (CPTED) Professional certified by the American Crime Prevention Institute, Drew has experience creating physical security designs for new facilities including corporate headquarters, hospitals, pharmacies, clinics, and classroom buildings. Ron Lander, Certified Protection Professional and Certified Master Anti-Terrorist Specialist, is President of Ultrasafe Security Specialists and a retired Sergeant with over 23 years on the Los Angeles County Sheriff’s Department. Ron is also Executive Vice President of Technology for Security Management Services International (SMSI). Ron’s experience in law enforcement ranges from burglary, property and high-technology crime investigations to supervision in the Juvenile Investigations Bureau, the Undersheriff’s Office and Data Systems Bureau. Ron’s security experience includes 17 years as Vice President of Lander Security Systems and nearly 20 years as a Security Consultant and Integrator. Ron’s company, Ultrasafe Security won the 2006 “Sammy” Award for the “Best Integrated Installation” in Northern America. This coveted award is considered the “Oscar” of the security industry and the installation was featured in the July, 2006 issue of Security Sales and Integration magazine. In September, 2008, Ron was the first recipient of the Roy N. Bordes Memorial “Council Member Award of Excellence” for his over 14 years of contributions to ASIS Councils and his countless lectures throughout the world on the behalf of ASIS and the security community. Ultrasafe Security was also named his city’s “Business of the Year” in 2004. Ron is also frequently invited to lecture internationally on matters such as “Planning for Violence in the Workplace”, “Living Defensively”, “Disaster in the Data Center”, “Researching the Internet for Security Professionals”, “Computer Security/Security Awareness”, “Computer Security for the Road Warrior”, “Security Technologies Utilizing The Internet”, and “Computer Forensics”. He also co-chaired the ASIS Committee that organized the International Y2K Solutions seminar in Washington, DC in June of 1999, and was Chairman of the local Alarm Association and ASIS chapter. Ron’s consulting skills and expertise have been tapped by high-profile estate owners, celebrities, grocery and department stores, hospitals, manufacturing facilities, the hotel/restaurant industry and law firms throughout the country. Mr. Lander was Certified in 2003 as an Anti-Terrorism Specialist (CAS) by the Anti-Terrorism Accreditation Board of Alexandria, Virginia, and certified as a Master in the field (CMAS) in October, 2004. Ron is also the Secretary/Treasurer of the Unilateral Apprenticeship Training Program (UATP) for a consortium of the California Alarm Association (CAA) and California Automatic Fire Alarm Associations (CAFAA). This program trains apprentices to prepare for the California Fire-Life/Safety Electrician Certification exam, and journeymen who must receive continuing education units. Mr. Lander was also the Treasurer of the Norco Chamber of Commerce for over four years, and has been a member of Kiwanis International and a former member of the Orange County Sheriff’s Department’s High Technology Crime Investigation Professional Services Reserve (PSR) Unit. Ron was also Chairman of the Norco Police & Fire Safety Commission during the Commission’s 4-year term. He is also Vice Chairman of the ASIS International Information Technology Security Council and Legislative Chairman of the California Alarm Association. Ron is also an active member of the Riverside County Court-Community Planning Committee.